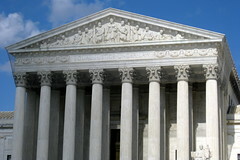 Paralegal Education in Washington D.C. The District of Columbia is known to have the greatest concentration of paralegals in the country per capita; over 6,000 of them, according to the Bureau of Labor Statistics’ 2010 survey. For the full decade from 2002-2012, paralegals as a career field enjoyed the Top 40 Growth Occupation in D.C. It makes sense that the field is so in demand and the career so popular in what we like to consider our nation’s seat of power and justice. The Bureau of Labor Statistics claims the field will continue to grow well into 2018, with 250,000 new jobs opening. A paralegal, or legal assistant, is usually a trained legal professional with substantive skill and knowledge of the legal sector and precedents. They adhere to a strict code of conduct that states no paralegal works outside of direct supervision of an attorney, never represents herself as a lawyer or charges for time as a lawyer, never gives legal advice and does not represent a client in the court of law. Otherwise, a paralegal can do just about anything a lawyer does, making them very desirable to employers who pay a fraction of an attorney’s fees for the same quality of work. Becoming a legal assistant is a career in its own right, no longer viewed as a stepping stone to becoming an attorney at law. The Rule of Professional Conduct present in every state (or District) adjudicates each assistant works under a supervising, practicing attorney who agrees to instruct the paralegal on professional ethics, confidentiality, and who becomes wholly responsible for an assistant’s professional conduct. The question of where to pursue higher learning is just as important as the choice to pursue it at all; there are criteria to consider and certain catch words that will grab an employer’s attention. The ABA, or American Bar Association, offers its approval to those paralegal or legal programs that meet its rigorous requirements. A legal program that is ABA approved is more desirable and more marketable than one that is not. In fact, some states and employers demand ABA approval, as the training results are markedly more thorough. An accredited school can be just as important; accreditation in granted by a private, regional or national authority that in essence proclaims the integrity of the school’s method of teaching and delivery. It is highly recommended that the aspiring paralegal choose an ABA approved program taught in an accredited school. D.C. has one ABA approved school on its soil and many more in neighboring areas. Georgetown University in the District of Columbia is a four year school offering a certificate program in Paralegal Studies. A paralegal has many choices when it comes to a workplace; they are hardly confined to law firms; but firms are understandably where a legal assistant looks for work especially when just entering the field. The D.C. area has a number of possible employer firms though many schools and associations also provide job placement assistance.